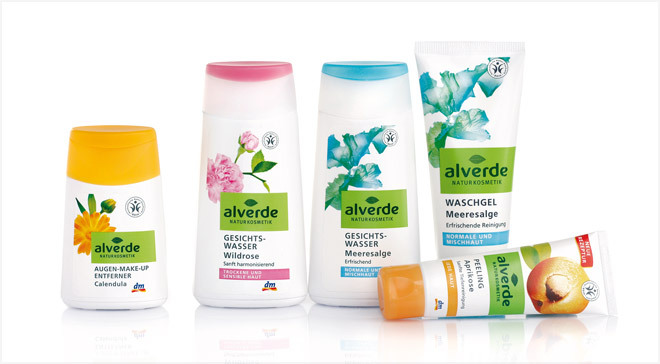 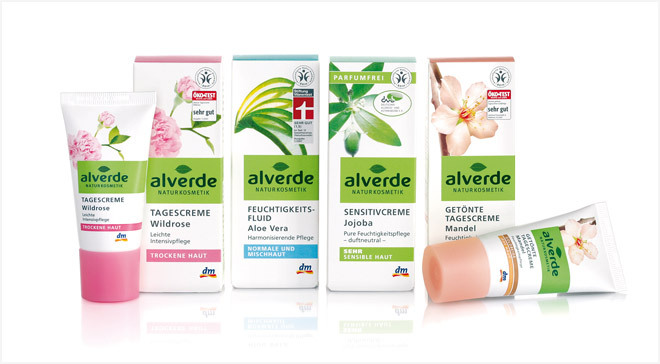 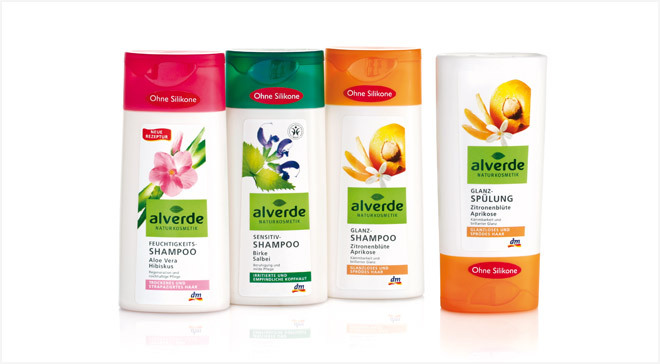 For their natural cosmetic range alverde dm-drogerie markt needed a totally new appearance. 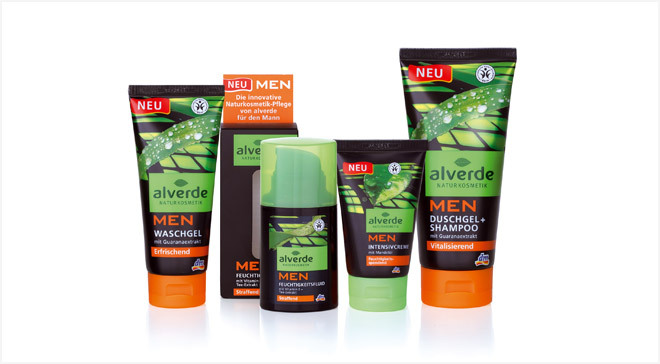 The strikingly original photography ensures the range really stands out and the design presents the brand as fresh and natural. 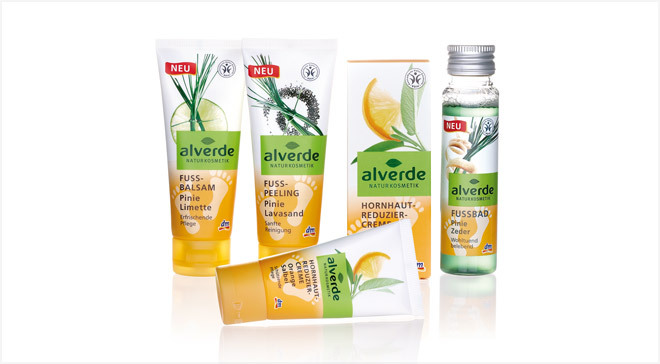 Forming the centrepiece of the new concept are the ingredients of each product, arranged in the traditional Japanese Ikebana style and photographed with a special lighting technique. 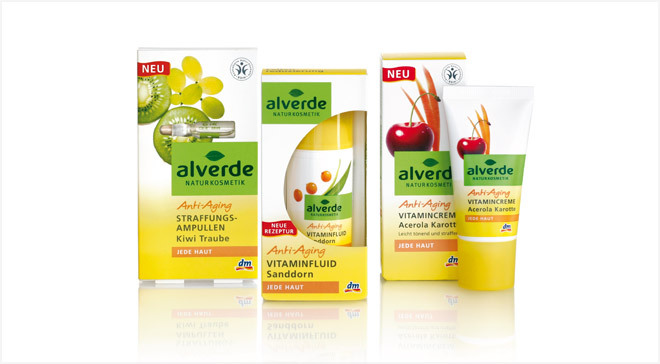 The horizontal logo-band strongly communicates the character of the brand, enhancing recognition and creating a strong block on the shelf.